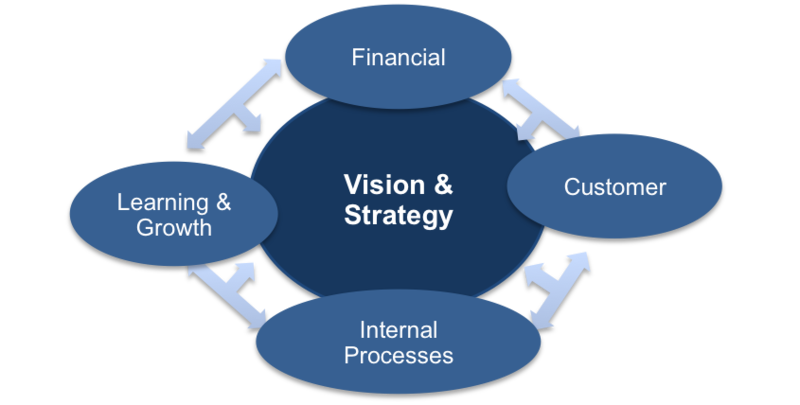 The Balanced Business Scorecard, or the Balanced Scorecard, is a management tool used by many organizations in order to align their activities with their goals. There are a number of tool and models that seek to achieve the same result, but the Balanced Scorecard is one of the most popular and most successful in use. By using this tool, you can gain a top-level view of everything that is going on within an organization so decisions can be made in terms of improving weaknesses and tightening up performance. This scorecard diagram is divided up into four sections, each of which requires its own time and attention to understand and utilize. 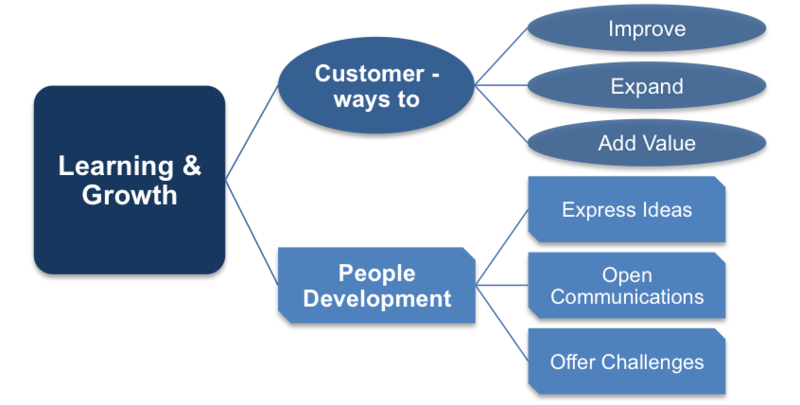 The four sections are Financial, Customer, Internal Processes, and Learning and Growth. Obviously, those areas cover a range of different departments and employees within any business, so you can quickly see how this scorecard is able to relate to any organization and help it be better aligned for the long run. Let’s take a moment to look a little closer at each of these four sections of the scorecard. What kind of financial situation is the organization in currently? What opportunities exist for better use for the financial resources available? What risks are present in terms of finances? These are just some of the questions that can be asked in order to fill in this portion of the scorecard. Obviously, the financial condition of an organization is one of the most-important elements to review at any time. Without a solid financial base, the long-term goals of the company – whatever they may be – are unlikely to be reached. Once the financial situation has been reviewed and considering, decisions can be made to make sure that financial management is in line with the overall target of the organization. Ideally, the choices that are made with finances are going to work directly toward helping the company as a whole hit its goals. If that isn’t happening, the scorecard should be able to highlight the problem areas so improvements can be made. Business is all about customers. If you don’t have customers, you don’t have a business – plain and simple. This section of the scorecard encourages you to take a look at the business from the perspective of the customer and analyze what could be done better, and what is working well. Are your customers impressed with your products and your services? Is there any part of your business where a customer would be better off choosing one of your competitors? There are a number of statistics and metrics that can be used to evaluate the relationship that you have with your customers. Things like the percentage of sales which are made up of new products, and how many customers make up the majority of your sales, are good ways to analyze the state of the business and make any adjustments that might be necessary going forward. Without a healthy and growing customer base to serve, all of your other efforts can go wasted in time. The business that learns to value their customer relationships is usually the one who will succeed in the long run. The actual day to day operations of your business, or your department within a business, need to be as effective and efficient as possible to compete. You can’t afford to be wasting resources along the way and still expect to win out over your competition. If you aren’t doing it as well as it can be done, someone else surely will. Producing for less. If you can make the same product as your competition, but make it for less, you have an obvious advantage. This will allow you to sell your product for less, meaning it is easier to win the market share from your competitor, and still make the same profit margin. Controlling, and reducing, unit cost over time is a valuable skill. Producing faster. Whether you want to make sure your product is the first to the market, or just be able to fill orders as quickly as they come in, the speed of your production is another important facet of operations as a whole. Through using this scorecard to study your processes, you may discover that time is being wasted at one point or another along the way. Setting the market. Within your industry, if you are able to bring a new product to the market that offers a better solution to the problems of your customers, you are sure to grow your business. Setting the market is always difficult, but it is something that every organization strives to achieve. It is easy to let your internal processes just continue to run as they have because you are so busy managing them from day to day. Stepping back, however, and reviewing what you do is vital to the growth of the company. Speaking of growth, this last section of the scorecard relates to just that – finding new ways to improve, expand, and add value for customers. Also included in learning and growth is the development of the employees within your organization. When you give them power and opportunity beyond just their normal daily routine, you open up possibilities that may not have existed before. A culture of growth within an organization is one that helps people with ideas express them to those who can put them into action. Our free business strategy books will give you a good understanding of the techniques and terminology to help you succeed in your career. 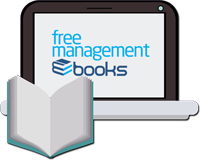 You can download these free books for your PC, Mac, laptop, tablet, Kindle, eBook reader or Smartphone. 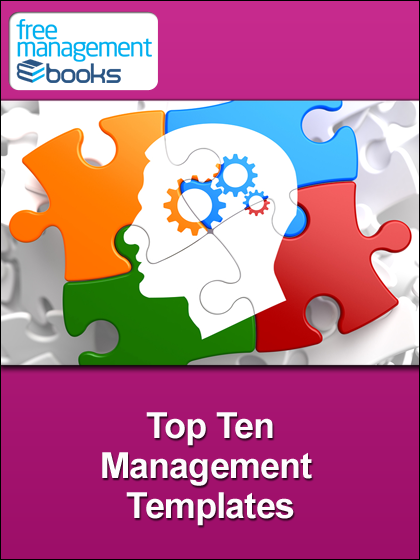 Titles include: PESTLE Analysis, SWOT Analysis, Ansoff Matrix, Boston Matrix and Porter’s Five Forces Framework. Using the Balanced Business Scorecard is a decision that countless organizations have used over the years to review how they are functioning, and where they could improve. Taking time to analyze each of the four sections of the scorecard honestly and objectively could reveal things about your business that you did not know were true. Every organization has goals, but it is working toward those goals on a daily basis that gets tricky – using the Balanced Business Scorecard can help you work through the details and stay on track. You can read more about the Balanced Business Scorecard in our free eBook ‘Five Essential Business Strategy Tools’. Download it now for your PC, Mac, laptop, tablet, Kindle, eBook reader or Smartphone. 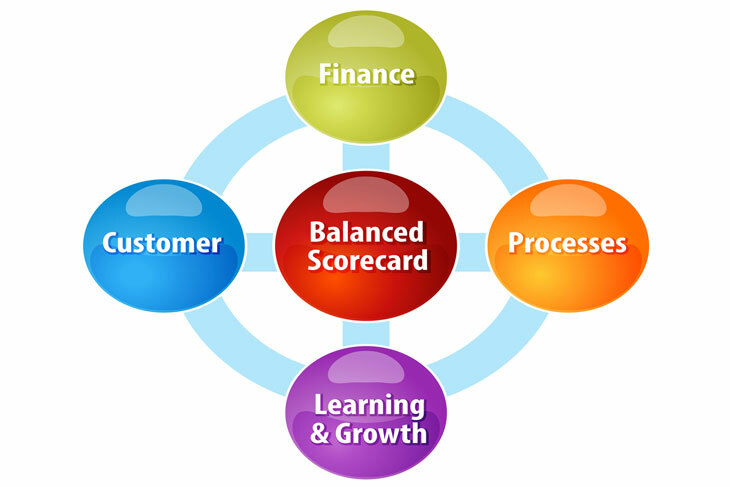 The Balanced Scorecard (BSC) is a semi-standard structured report that can be used by managers to keep track of the execution of activities by the staff within their control and to monitor the consequences arising from these actions. It focuses on the strategic agenda of the organization, the selection of a small number of data items to monitor and a mix of financial and non-financial data items. Using the Balanced Business Scorecard is a decision that countless organizations have used over the years to review how they are functioning, and where they could improve.